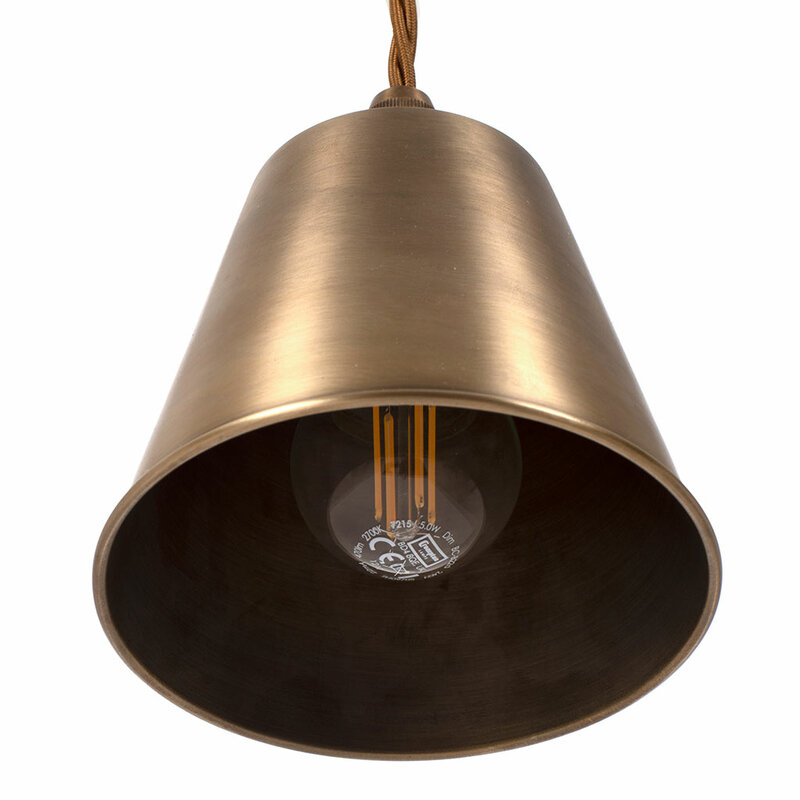 Our take on the traditional lighting you find in gentlemen’s clubs, the Club Pendant Light has a neat unfussy, vintage presence that produces a lovely pool of light for a subdued atmosphere in a kitchen, living room or dining space. 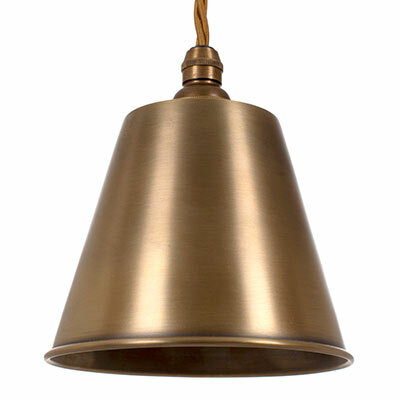 Hand forged from solid natural brass and featuring a spun brass shade which directs its light downwards, the Club Pendant Light is made here at Jim Lawrence using traditional brass working techniques highlights the skill of our metal workers and their ability to make lights with a timeless quality that will look equally at home in both contemporary and period settings. 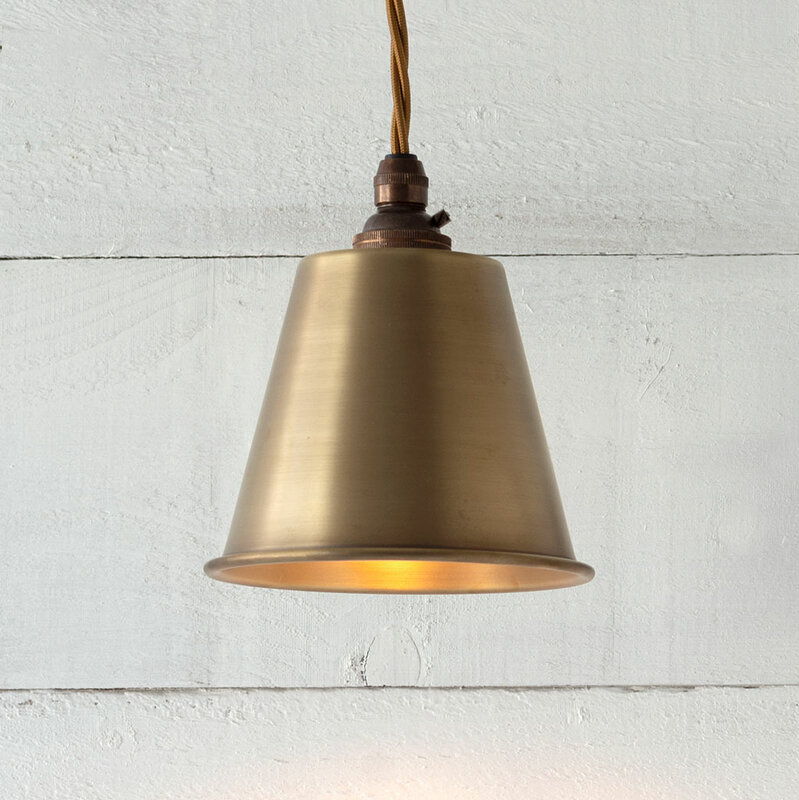 It looks fabulous hung as a pair or triple in a kitchen or dining room and its dainty proportions make it ideal for lighting up a small space such as a loo, landing or cloakroom. Additional Information: supplied with 50cm of braided cable and ceiling fixing. Antique Brass: It is produced by treating the brass with antiquing solution to speed up the natural tarnishing process to create a lovely aged look that will darken naturally over time. Should you wish to lighten it, you will need to buff it occasionally with a small amount of brass cleaner to return it to its original hue. 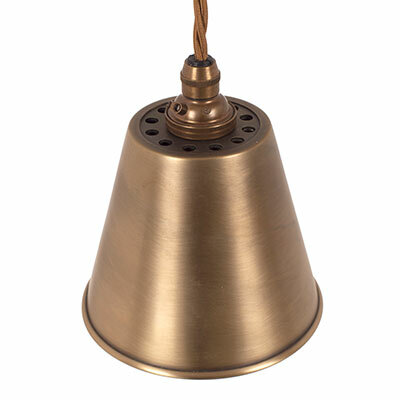 To discover more about our finishes, check out our product finish page. 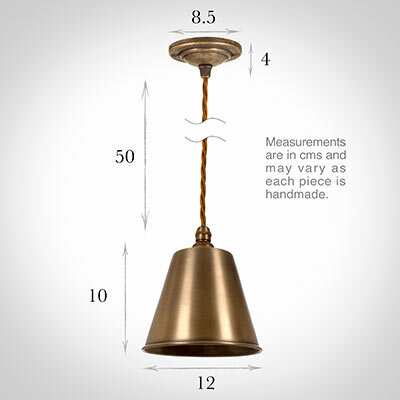 Hung in a row of three or more above your kitchen units, island or breakfast bar to create additional layers of tasking light. In alcoves to create lovely layers of lighting in a living or dining room. Either side of a fireplace, mantlepiece and chimney breast or any architectural feature you wish to highlight. Used to create cosy bedtime lighting on either side of your bed for dressing table mirror. For a similar looking wall light, try our Club Wall Light or for more focussed lighting, our range of single and track spotlights. 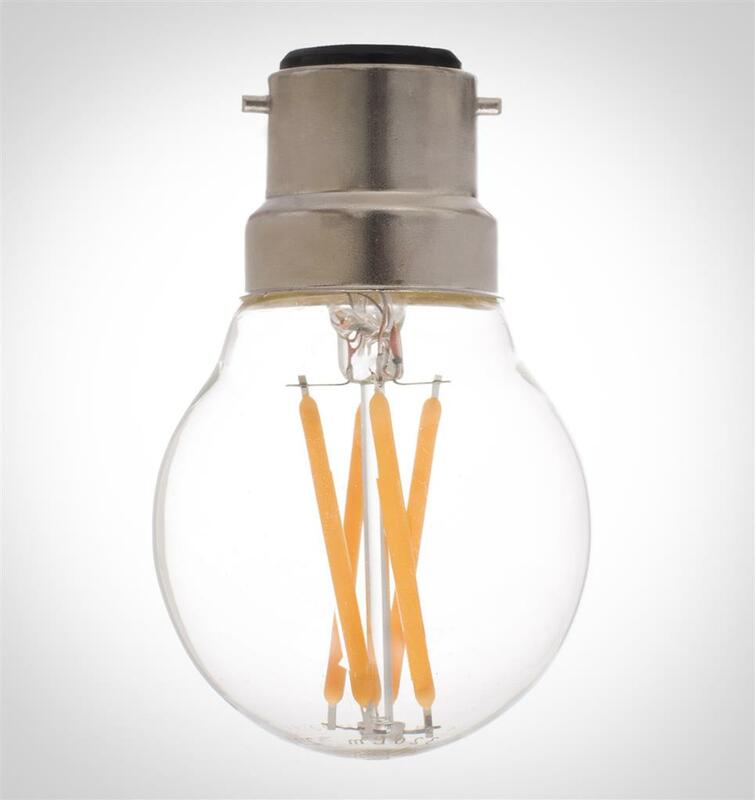 We recommend our LED Golf Ball bulb as the perfect accompaniment to your spotlight.